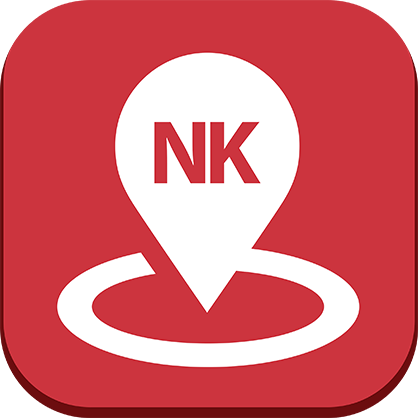 Whether you’re heading to Pyongyang on an organized tour or fancy a spot of armchair North Korean travel, there’s now an app for that. 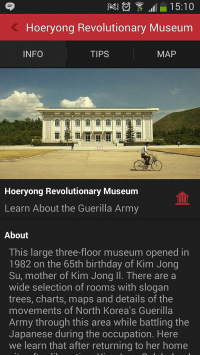 Last week, London-based Uniquely Travel launched what it calls the “ultimate travel guide” to the DPRK. 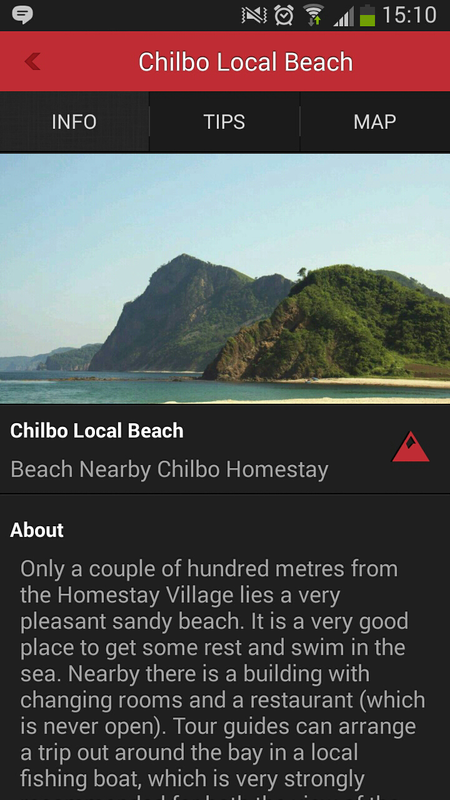 The app, available for iOS and Android, contains details on just over 350 items of interest for tourists, including hotels, restaurants, museums and beauty spots. You can delve into the entries in the app in two ways. One is through a comprehensive alphabetical list organized by category and the other is by region, divided by North Korean county and then major cities. 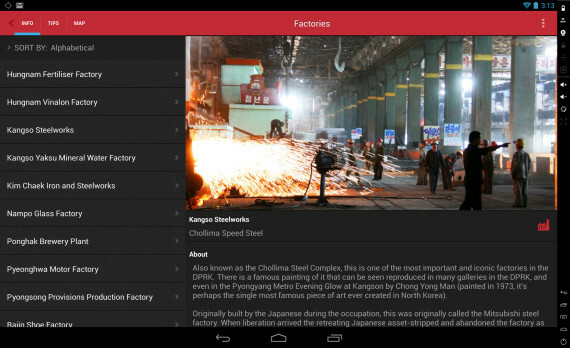 The app provides information on all these items of interest that ranges from the basic to comprehensive. 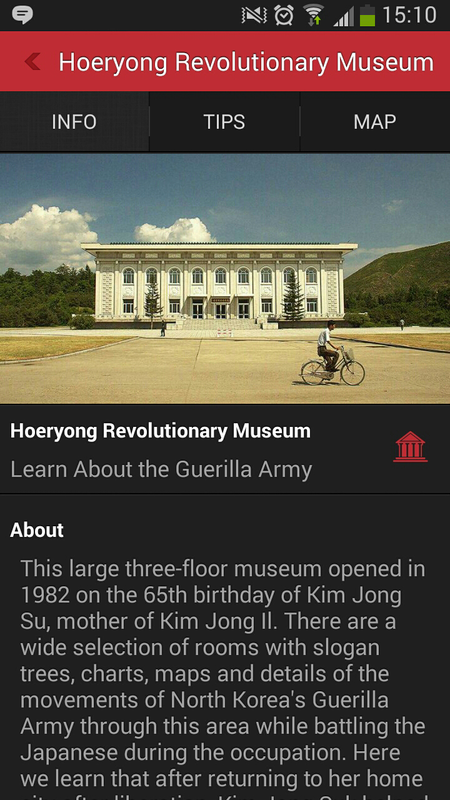 The location of each is marked on an embedded Google Map alongside neighboring attractions and a “tips” section lists some on-the-ground information from Simon Cockerell, one of the people behind Beijing-based North Korea travel specialists Koryo Tours. There’s sometimes some genuinely useful information tucked away in this section. For example, the Gomalsan Guesthouse in Chongjin enjoys a better view of the city than the competing Chongjin Tourist Hotel, but the food isn’t as good. But sometimes the information is a little lacking. In the case of the International Telecommunications Building in Rason, there’s the interesting factoid that its modeled on the Loxley Telecom building in Bangkok, but while noting that tourists can use its facilities to send emails, there’s no indication of the times it’s open or the price. But perhaps that’s not too important? North Korea isn’t a traditional tourism destination and part of that is that travelers don’t have the freedom to wander around town in the evening visiting anywhere they like. So when it comes to opening hours, perhaps all tourists need to know is whether somewhere is on their itinerary or not. Most of the entries are accompanied with a picture of the attraction and it’s easy to see how the guide will continue to grow as new attractions are added. Before that happens, it could benefit from a spot of proof reading. While most entries were fine, some were a little rough around the edges. For example, “Behind the city square on other side from the giant Grand Theatre, lies the very pleasant Hamhung Youth Park,” reads one entry. A handy feature is the ability to download the contents of the app into your phone so it can be used in North Korea without access to a cell phone network. An equally major part of the app provides information on North Korea’s history, its society and its culture, the ins and outs of getting North Korean visas and the ethics of traveling to a country that regularly punishes the slightest dissent with jail or death. The ethics guide is written by Andrei Lankov, a professor at Kookmin University in Seoul and a respected long-time North Korea watcher. Lankov discusses the issue by relating his experience of seeing foreign tourists as he grew up in St. Petersburg in what was the Soviet Union at the time. 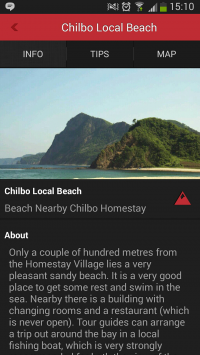 The question of tourism for pleasure in North Korea is a complex one, well beyond the scope of a travel app, but it’s at least good to see the issue raised as it should be something that every prospective traveler thinks about. All-in-all, it’s an interesting app and something that looks set to grow and expand in the future. 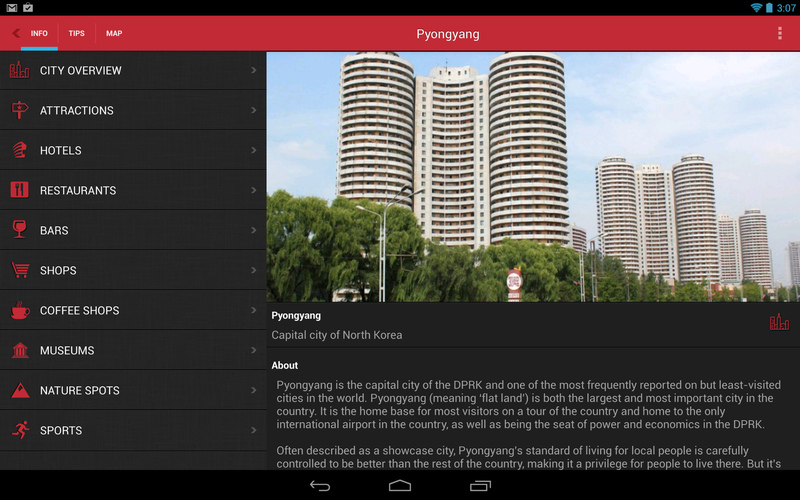 If you’re interested in visiting North Korea or fancy a bit of armchair travel, it’s well worth the $0.99 price. It’s available on the Apple iTunes Store and Android App Store. Did North Korea pirate Angry Birds?